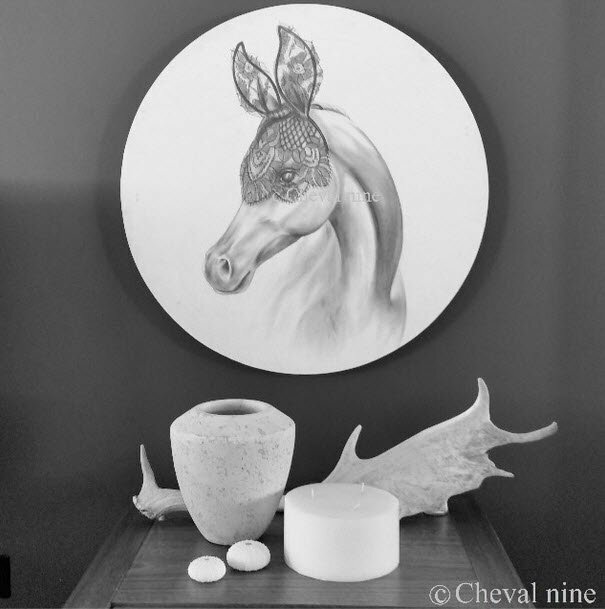 The Voulez-Vous Project: Cheval Nine. Voulez-Vous: Art that's inspired by a love of animals. Artists draw inspiration from a lot of places, but it’s the ones who combine their love of something with a part of their history that often produce the most inspiring work. Jasmin, who sketches under the name Cheval Nine, is one of these artists. 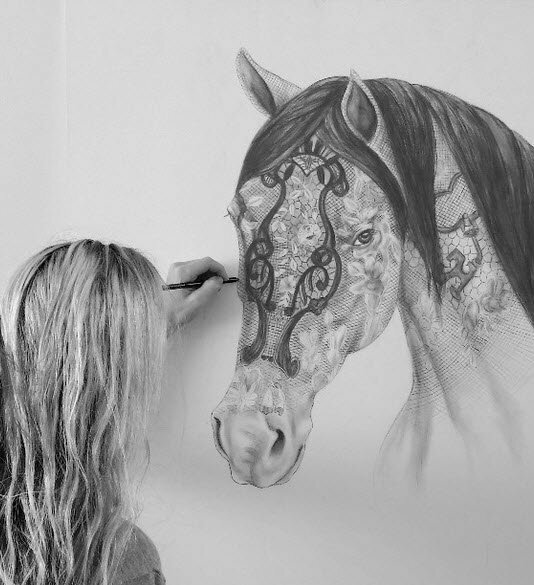 Her unique sketches, mostly of life-like horses with intricate high fashion detailing, draw inspiration from two main elements: fashion and the beauty of horses. “As a child I collected horse figurines instead of barbies. I owned horses and loved everything about them. They’re such majestic animals. Fashion is about conveying a story, an attitude, a feeling and that’s what I love to capture in a unique way using horses in my illustrations,” Jasmin told Mamamia. The artist has been interested in sketching and painting since she can remember, and excelled at art throughout her schooling years. In recent years, she has decided to turn her passion into her career and begin her own business. Jasmin credits a range of sources as influence of her art. From fashion designers and stylists to the expressions and compositions of horses, the woman behind Cheval Nine finds inspiration in many elements. Examples of artwork by Cheval Nine. “Fashion editorials are my main source of inspiration they’re an artform in itself, from the fashion pieces selected to the styling, lighting and photography. I admire Fashion Designers, Stylists, Models, Photographers and get such a rush from viewing amazing editorials created by incredibly talented people. Also studying horses, the different breeds and capturing a range of expressions and compositions,” she said. Jasmin’s vision for her art is that it will resonate with people. To see more of Jasmin’s work you can find her website here, her Instagram here and her Facebook here.